Only One Day Left to Enter Our Valentine’s Date Night Giveaway! There’s only one more day to get your entries in for our SusanvilleStuff Valentine’s Day Date Night Giveaway! How about this for a terrific Valentine’s Day prize package? Surprise your sweetheart with a gorgeous heart-shaped gold and diamond pendant from Sierra Jewelry Company! a $350 Value! 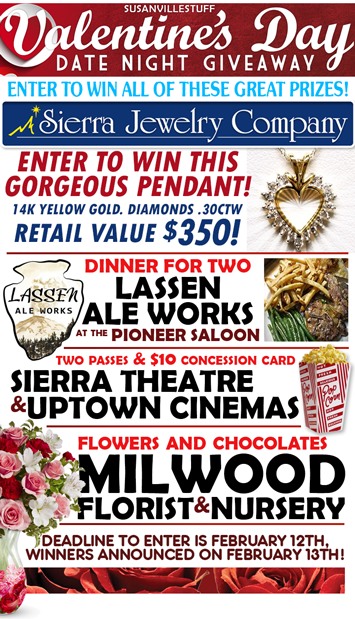 Dinner for two from Lassen Ale Works in the Pioneer Saloon! Movie passes and snacks from the Sierra Theatre and Uptown Cinemas! Flowers and chocolates from Milwood Florist and Nursery! All you have to do to win this awesome Valentine’s Day gift package is enter using the form below. You can enter once per day per email address and all entries must be received before Tuesday, February 12th, at midnight. We’ll announce the name of our winner Wednesday morning, February 13th. 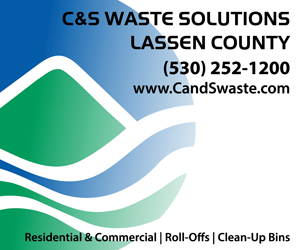 How can we contact you if you win? No purchase necessary to enter and win. Contest starts Thursday, January 31st, and ends at 11:59 p.m. (PST) on Tuesday, February 12th. All entries must be received before 11:59 p.m. (PST) Tuesday, February 12th, to be valid. 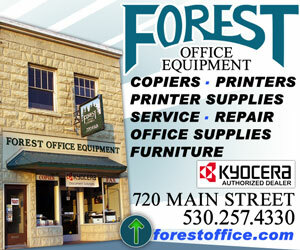 To enter to win our SusanvilleStuff.com giveaway, please fill in the required information in the form above. Incomplete entries are considered void. This contest is open to all legal residents of the United States, 21 years and older. Those who enter this contest acknowledge the official rules, requirements and eligibility. The winners will be chosen at random at the end of the contest. Your chances of winning are determined by the amount of eligible entries received. You are allowed to enter once per day, per e-mail address. Good Luck! If you read all the way down to this point you should be commended as detail oriented and we are proud of you. You are our kind of stuffer! Posted by Jeremy on . Filed under Contests. You can follow any responses to this entry through the RSS 2.0. Both comments and pings are currently closed.